Received Best Paper Honourable Mention. Nur Al-huda Hamdan, Adrian Wagner, Simon Voelker, Jürgen Steimle and Jan Borchers. Demonstration of Springlets: Expressive, Flexible and Silent On-Skin Tactile Interfaces. In to appear: Proceedings of the 2019 CHI Conference on Human Factors in Computing Systems, CHI '19, ACM, New York, NY, USA, May 2019. Nur Al-huda Hamdan, Adrian Wagner, Simon Voelker, Jürgen Steimle and Jan Borchers. Springlets: Expressive, Flexible and Silent On-Skin Tactile Interfaces. In to appear: Proceedings of the 2019 CHI Conference on Human Factors in Computing Systems, CHI '19, ACM, New York, NY, USA, May 2019. Nur Al-huda Hamdan, Simon Voelker and Jan Borchers. Sketch&Stitch: Interactive Embroidery for E-Textiles. In Proceedings of the 2018 CHI Conference on Human Factors in Computing Systems, CHI '18, pages 82:1–82:13, ACM, New York, NY, USA, 2018. Philipp Brauner, Julia van Heek, Martina Ziefle, Nur Al-huda Hamdan and Jan Borchers. Interactive FUrniTURE – Evaluation of Smart Interactive Textile Interfaces for Home Environments. In Proceedings of the 2017 ISS Conference on Interactive Surfaces and Spaces, ISS '17, ACM, New York, NY, USA, Oct 2017. Nur Al-huda Hamdan, Ravi Kanth Kosuru, Christian Corsten and Jan Borchers. Run&Tap: Investigation of On-Body Tapping for Runners. In ISS '17: Proceedings of the 2017 ISS Conference on Interactive Surfaces and Spaces, ACM, New York, NY, USA, Oct 2017. Philipp Brauner, Julia van Heek, Anne Kathrin Schaar, Martina Ziefle, Nur Al-huda Hamdan, Lukas Ossmann, Florian Heller, Jan Borchers and Others. 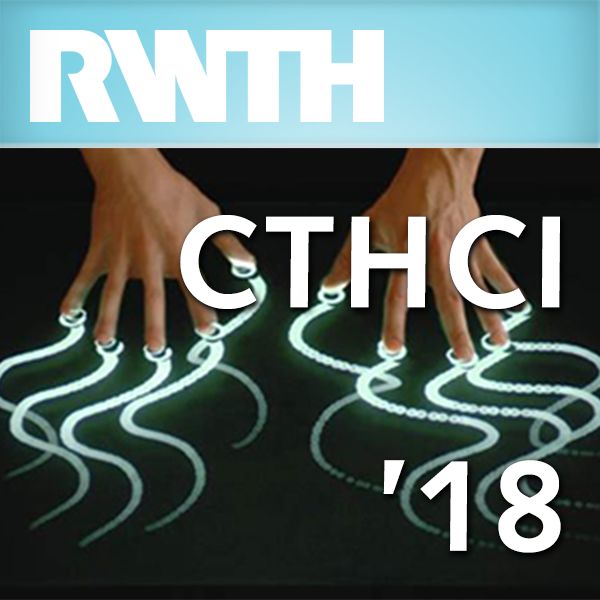 Towards Accepted Smart Interactive Textiles. In HCI in Business, Government and Organizations. Interacting with Information Systems: 4th International Conference, HCIBGO '17, Springer, May 2017. Nur Al-huda Hamdan, Jeffrey Blum, Florian Heller, Ravi Kanth Kosuru and Jan Borchers. Grabbing at an Angle: Menu Selection for Fabric Interfaces. In ISWC '16: Proceedings of the 2016 International Symposium on Wearable Computers,September 2016. Florian Heller, Lukas Oßmann, Nur Al-huda Hamdan, Philipp Brauner, Julia Van Heek, Klaus Scheulen, Laura Goßen, Rouven Witsch, Christian M"ollering, Thomas Gries, Martina Ziefle and Jan Borchers. Gardeene! Textile Controls for the Home Environment. In MuC '16: Mensch und Computer 2016 – Proceedings, De Gruyter Oldenbourg, Berlin, September 2016. Nur Al-huda Hamdan, Marcel Lahaye, Christian Corsten and Jan Borchers. Presentation Strategies for Micro-Navigation in the Physical World. In CHI '16 EA: Proceedings of the 2016 CHI Conference Extended Abstracts on Human Factors in Computing Systems, pages 3062–3068,May 2016. Nur Al-huda Hamdan, Florian Heller, Chat Wacharamanotham, Jan Thar and Jan Borchers. Grabrics: A Foldable Two-Dimensional Textile Input Controller. In CHI '16 EA: Proceedings of the 2016 CHI Conference Extended Abstracts on Human Factors in Computing Systems, pages 2497–2503,May 2016. Simon Voelker, Christian Corsten, Nur Al-huda Hamdan, Kjell Ivar Øvergård and Jan Borchers. An Interaction Model for Grasp-Aware Tangibles on Interactive Surfaces. In ITS '14: Proceedings of the ACM International Conference on Interactive Tabletops and Surfaces, pages 279–282, ACM, New York, NY, USA, November 2014. Simon Voelker, Christian Corsten, Nur Al-huda Hamdan, Kjell Ivar Øvergård and Jan Borchers. An Interaction Model for Touch-Aware Tangibles on Interactive Surfaces. In CHI '14: Extended Abstracts of the 2014 ACM Conference on Human Factors in Computing Systems,April 2014. Nur Al-huda Hamdan, Simon Voelker and Jan Borchers. Conceptual Framework for Surface Manager on Interactive Tabletops. In CHI '13 EA: Extended Abstracts of 2013 ACM SIGCHI Conference on Human Factors in Computing, pages 1527–1532, ACM, New York, NY, USA, 2013. 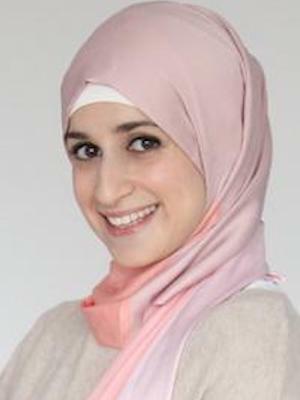 Nur Al-huda Hamdan. A Surface Manager for Interactive Tabletops. Masters's Thesis, RWTH Aachen University, Aachen, March 2013.